Fish are a captivating and cheap pet, but they do require a specific environment in order to flourish. Many people buy fish without learning about their needs, which can cause damage or even threaten their survival. 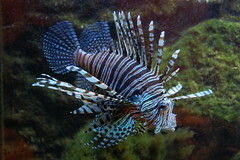 Depending on which variety of fish you get, whether they’re tropical or saltwater for example, their needs will vary. The size of tank you’ll require will depend on how many and which variety of fish you plan on keeping. You may be tempted to get a smaller tank for ease or space, but your fish really need space to thrive a twenty gallon tank is recommended for beginners, which you can increase as you gain more experience, or indeed more fish! Also bear in mind which variety of fish you’re getting, as this determine which tank you need tropical and coldwater fish have different needs. You can get cold water fish tanks from Swallow Aquatics where you can decide which size you want to opt for. No matter which variety of fish you decide to keep, the quality of the water is important. Be sure to choose the right pump, filter and lights, if necessary, so that your fish have the optimum living environment. You can buy a kit which will test the chemical balance of the water, so that the ammonia and pH levels are correct. Many people feed their fish too much, but in reality they are small creatures and don’t need it excess food will only cloud the water and sit on the bottom of the tank, which will cause the tank and the water to become unclean very quickly. Choose a reputable branded food that has all of the nutrients your fish need, and feed them a small amount twice a day a small pinch should be more than enough. You can limit the risk of infection in the water by removing any waste or excess food with a net each day. The easiest way to ensure the health of your fish is to keep the water free from infection and disease. Every couple of weeks, remove a few gallons of the water and replace it with fresh, pre-aged water – you should also remove as much algae as possible from the inside of the tank. Once a month, you should also clean the filter and replace the charcoal pads to ensure it works effectively. 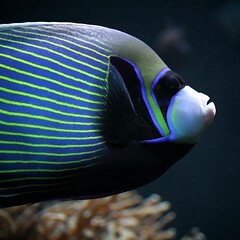 Fish require a perpetual atmosphere, as they don’t adjust well to drastic changes, so try to keep the lighting, water temperature and condition constant. If you have plants in the tank, prune them regularly so they don’t take over and reduce the amount of space for the fish, and do a water test every few weeks to make sure the chemical balance is right. The majority of these elements may seem time consuming, but once they are set up it is simply a case of maintaining them with small checks every few weeks. Kirsty Bell is a freelance blogger who loves animals of all types. Please visit my web site at Pet Portraits by Deena and see the many portraits I have painted. Dogs, cats, horse’s no fish yet! 10% of proceeds goes to support CorgiAid. Do not Overlook to Prepare Your Tropical Fish Supplies!